There is something quite magical about waterfalls. Whether it’s the relaxing sound of water trickling over the edge or the powerful rushing flow that we associate with some of the world’s strongest falls, the inherent beauty of these natural features are what makes these such an appealing attraction for us as we travel the world. 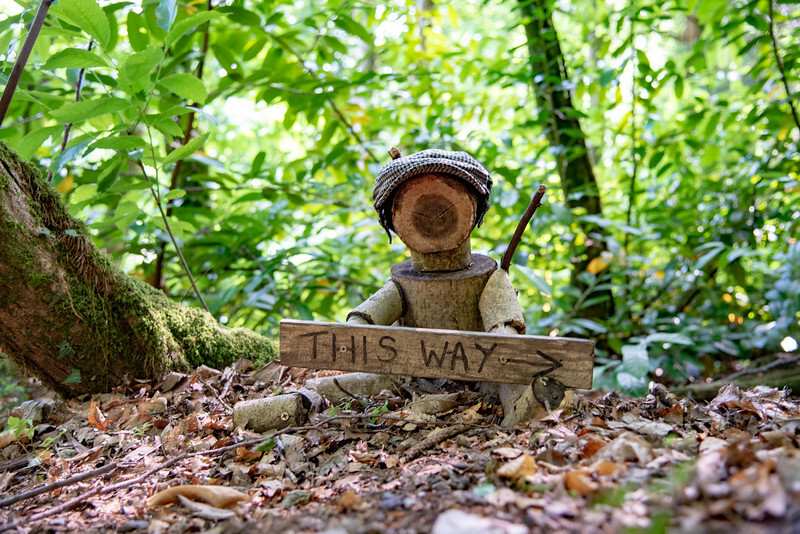 During our recent trip to the UK, we experienced camping in Devon, which is something we would strongly recommend to anyone with aspirations of enjoying the best of the UK! 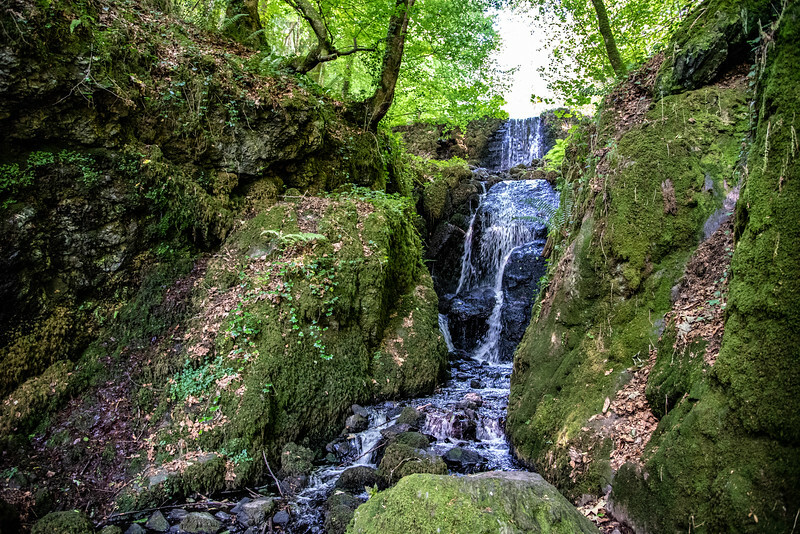 In the heart of this county is Dartmouth National Park and it’s here where you can find one of England’s tallest waterfalls – Canonteign Falls! I’m not going to like, I have a huge passion for exploring waterfalls, regardless of their size. England may not be known for its waterfalls, likely because in comparison to some of their global counterparts they are relatively small, but this should take nothing away from the breathtaking beauty they possess. 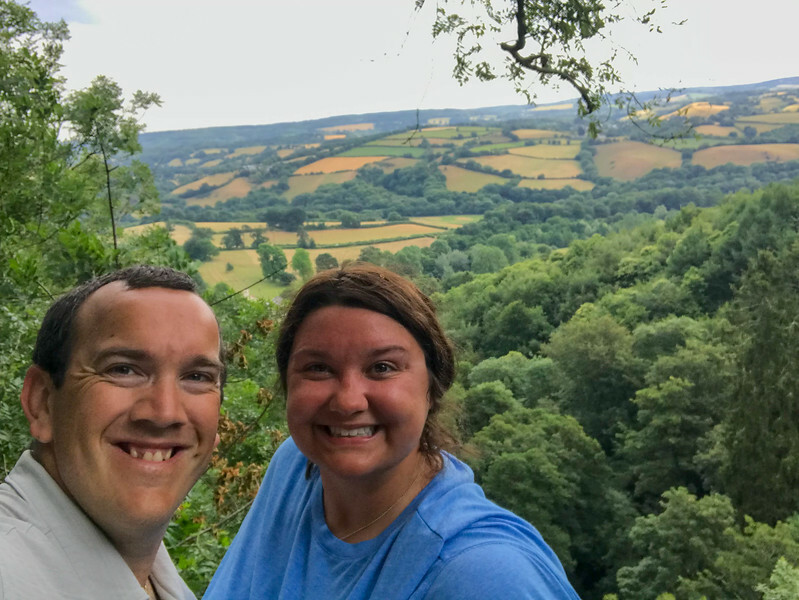 Canonteign Falls wasn’t an attraction we initially had planned on our Devon itinerary but after visiting the local tourism office, we quickly realized this was a landmark we couldn’t afford to miss. After reading this post, we are convinced that you will likely feel the same way! 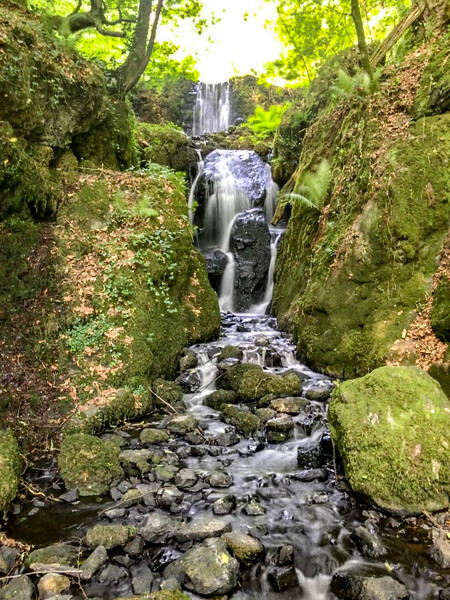 Standing at a height of 220 feet, Canonteign Falls is about as majestic as they come in England but honestly, it’s all about the overall experience of visiting this waterfall that makes it such a magical adventure. 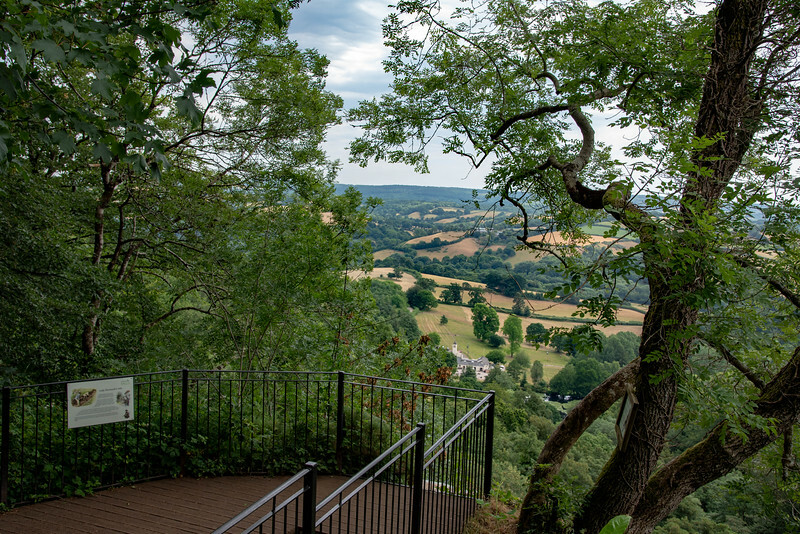 Located in the heart of the Teign Valley and Dartmoor National Park near Chudleigh, this is undoubtedly one of the best things to do in South Devon. 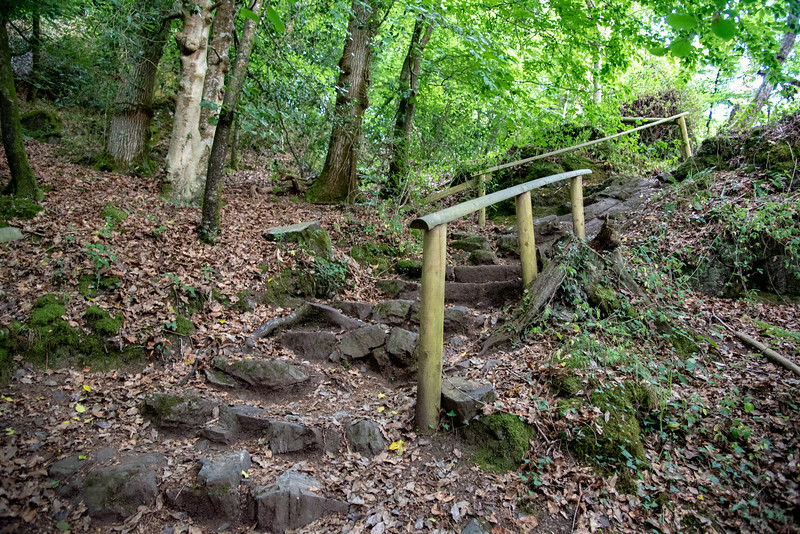 For the adventure seekers out there that love to hike and explore “off the beaten path”, the hiking trails throughout the wooded area surrounding Canonteign Falls are an experience that will quickly catapult this to the top of any adventure bucket lists. 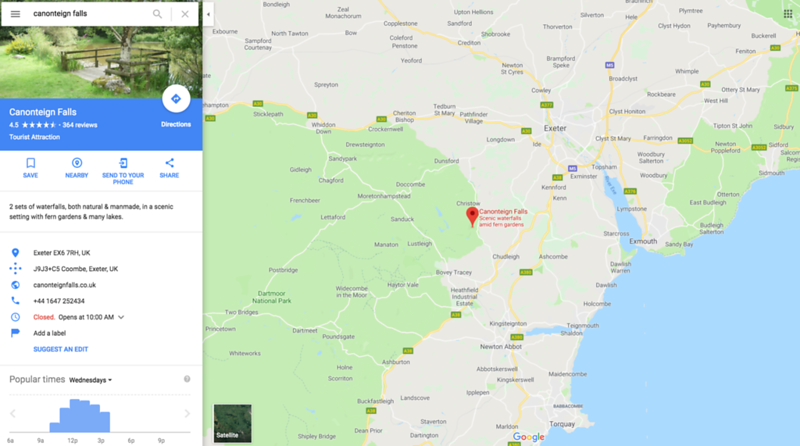 Location wise, Canonteign Falls is easily accessible from either Exeter or Torquay, dependent on where you are staying. Just a short drive through the country roads of South Devon, be prepared for some pretty narrow lanes and potential obstructions along the route. Exeter to Canonteign Falls – 15 miles (25 minutes) Click Here for Directions to Canonteign Falls from Exeter. Torquay to Canonteign Falls – 15 miles (30 minutes) Click Here for Directions to Canonteign Falls from Torquay. 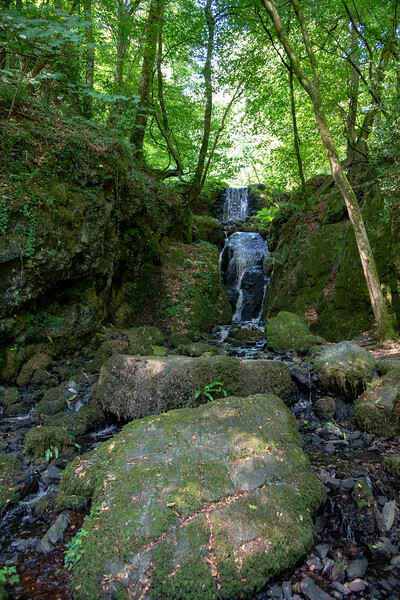 Unfortunately, Canonteign Falls is only open at certain times of the year and is very much dependent on the weather. 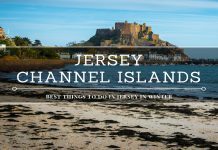 Generally, this attraction is open between March and November, though there may be certain days where it is closed due to adverse weather conditions. We always recommend calling ahead of time before venturing along those country roads with the potential of disappointment. 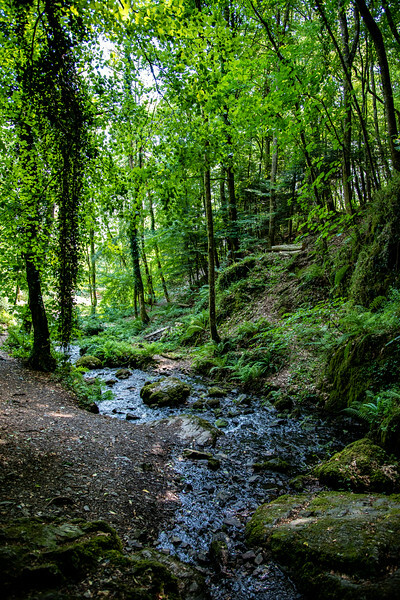 However, South Devon is renowned for being the “English Riviera” with plenty of awesome weather so there will likely be a day that you can experience Canonteign Falls! 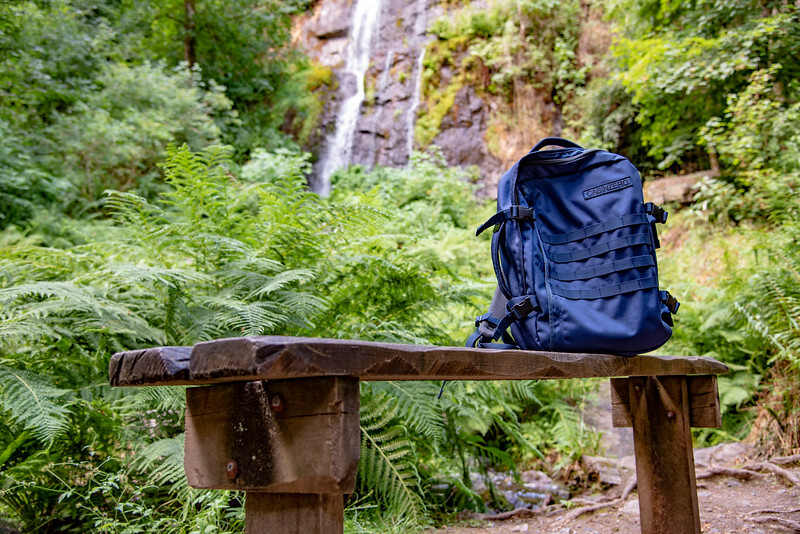 After paying the admission fee and grabbing a map of the area, get ready to head out on an adventure along a self-guided hiking trail to the waterfall. 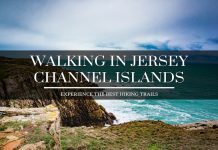 We were told that it would take anywhere from 60-90 minutes to complete the trail, with plenty of stops needed to capture pictures of the gorgeous falls and admire the flora and fauna throughout the wooded area. 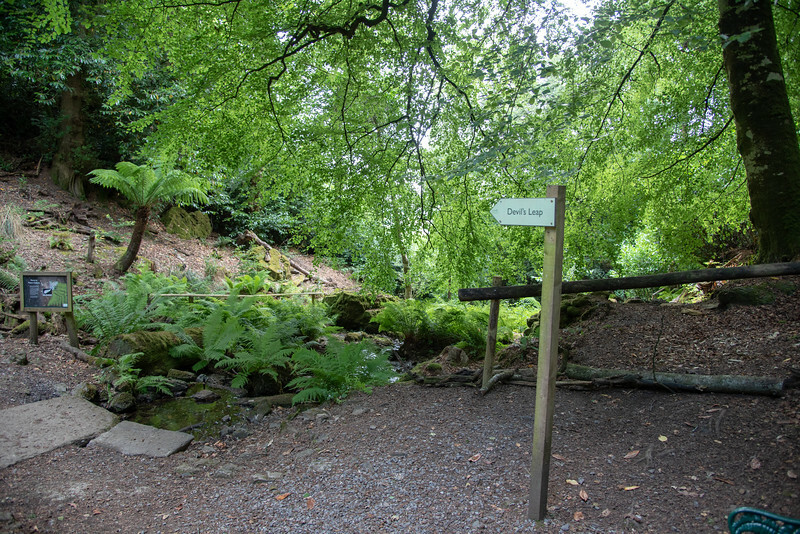 Visitors to Canonteign Falls will experience two sets of the waterfalls – one natural and one man-made! The spectacular Lady Exmouth Falls were built under her direction in 1890, though the natural falls are equally as breathtaking. Lady Exmouth Falls are the highest manmade waterfalls in England, measuring 70m (over 220 feet). It’s no surprise that this waterfall is renowned as one of the most picturesque spots for avid photographers visiting Devon. Clampitt Falls is the first set of falls that you stumble across during the early part of the hiking trail. Although they may not be quite as tall or powerful as their man-made counterpart, this natural phenomenon is a glorious spectacle well worthy of spending some time to explore and enjoy the relaxing surroundings. 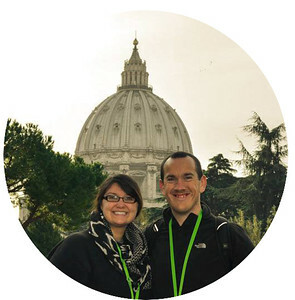 The trail is well kept and relatively easy to hike, regardless of your hiking skills. There are a few spots where you have to climb steps that get pretty steep, but overall it’s a great workout with plenty of photo opportunities to keep your mind away from feeling tired. The beauty of exploring this area of Dartmouth National Park is that there is so much more to experience than just the gorgeous waterfalls. You never know what wildlife encounters you will have as you wander through the woodland, while for those of you that have a keen interest in floral beauty, there are plenty of your English favorites to be found throughout this landscape. 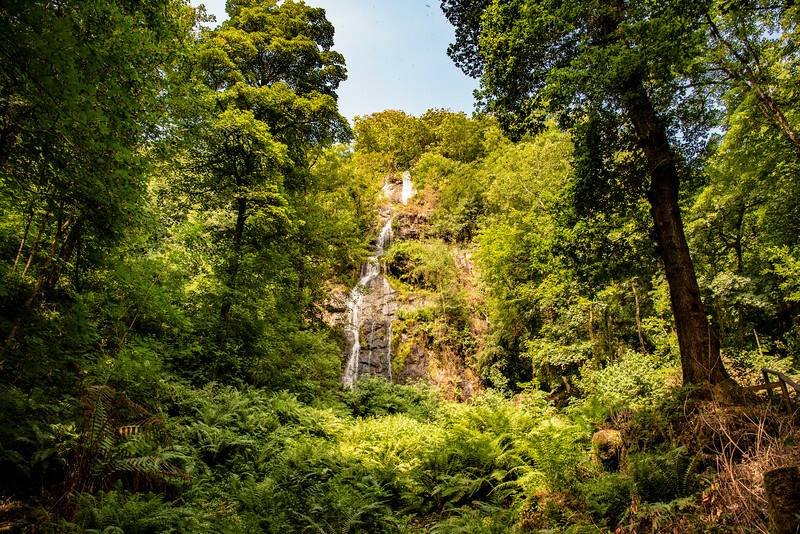 The landscape around Canonteign Falls provides the perfect natural habitat for robins, blackbirds, finches, woodpeckers, nuthatches, and wrens, while you may also be fortunate enough to spot a deer or two in the vicinity of the waterfalls. 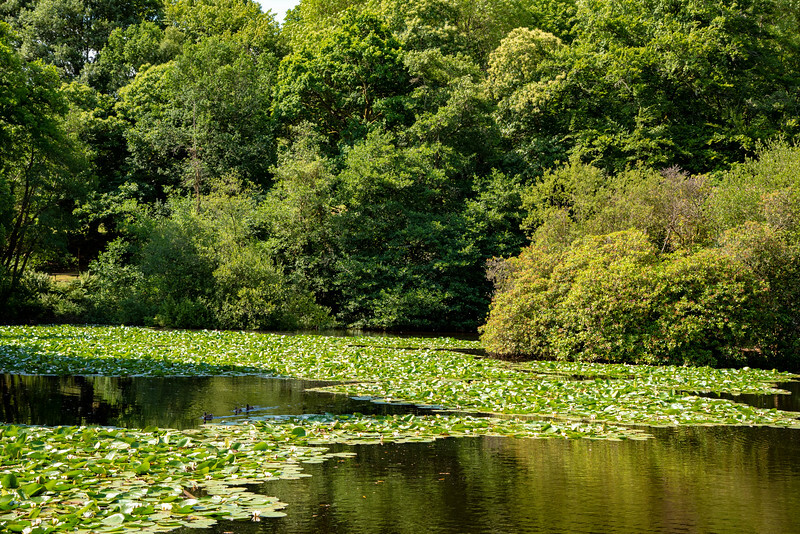 Canonteign Falls is home to seven distinctive lakes, each offering a relaxing location to enjoy the natural surroundings. 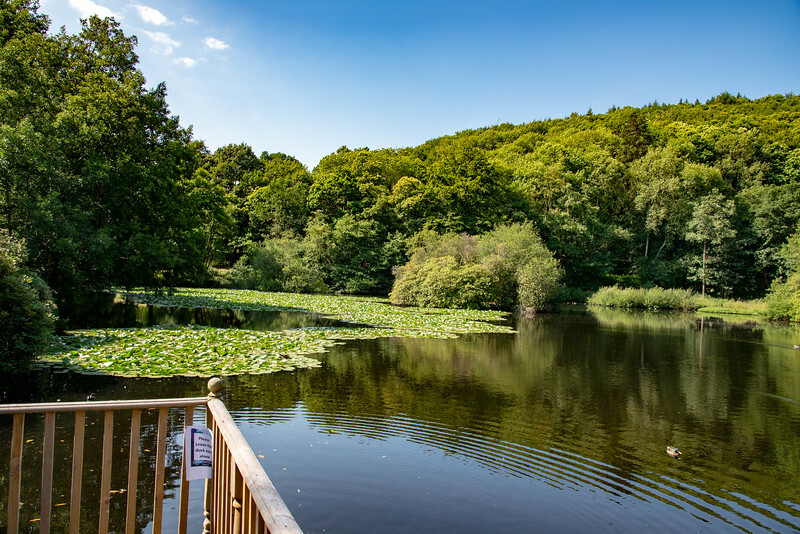 The Lower Lakes is the perfect spot to enjoy a relaxing walk, particularly if you are not too keen on hiking through the woodland area to reach the falls themselves. 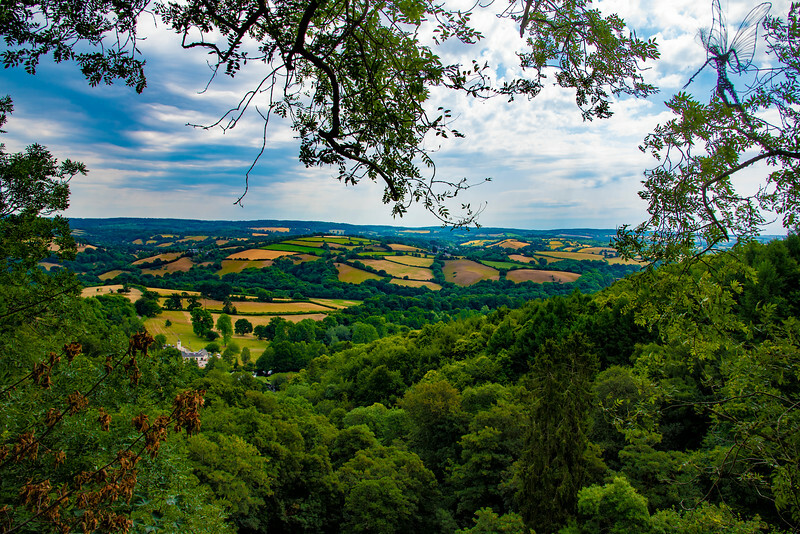 A myriad of wildlife can also be found residing in this part of the landscape and honestly, I don’t blame them because this truly epitomizes everything you associate with Devonshire beauty. 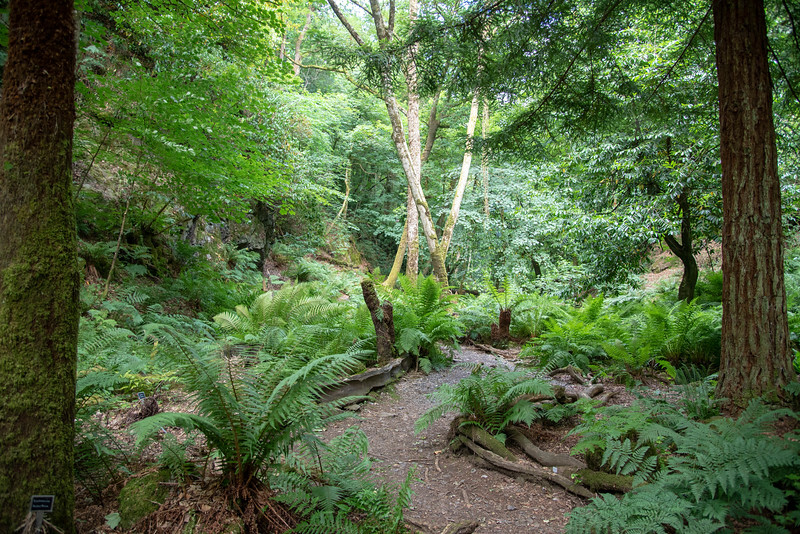 Wildlife includes kingfishers, bats, butterflies, wildfowl and otter but don’t be surprised if you stumble across another species while enjoying the solitude of Canonteign Falls. For those of you that enjoy taking a book to relax in the outdoors, there is the perfect spot known as “Poet’s Corner” located near the grassy meadows that surround these lakes. A circular bench can be found located next to an ancient oak tree, providing the perfect backdrop to allow yourselves to be whisked away in your favorite novel. 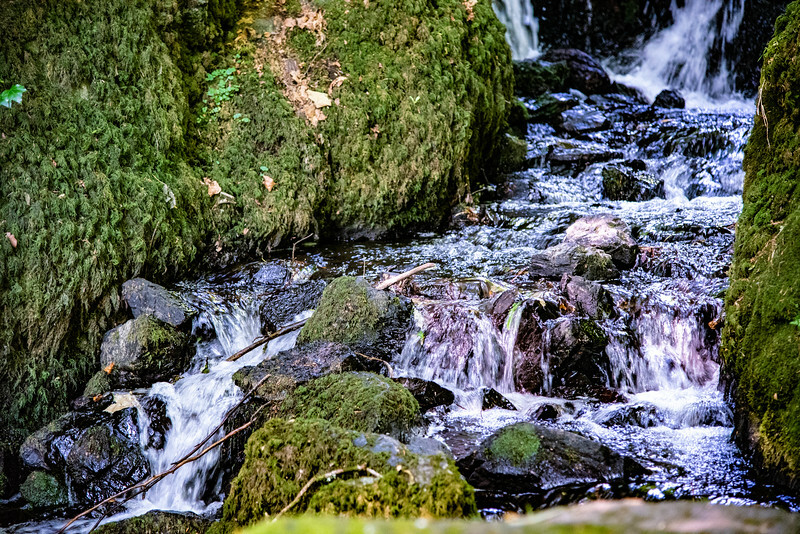 Visiting Canonteign Falls is more than just experiencing one of England’s tallest waterfalls. Yes, the views are breathtaking once you reach the summit of the climb through the wooded area but it’s everything you encounter throughout the hike that makes this such an incredible attraction worth visiting. 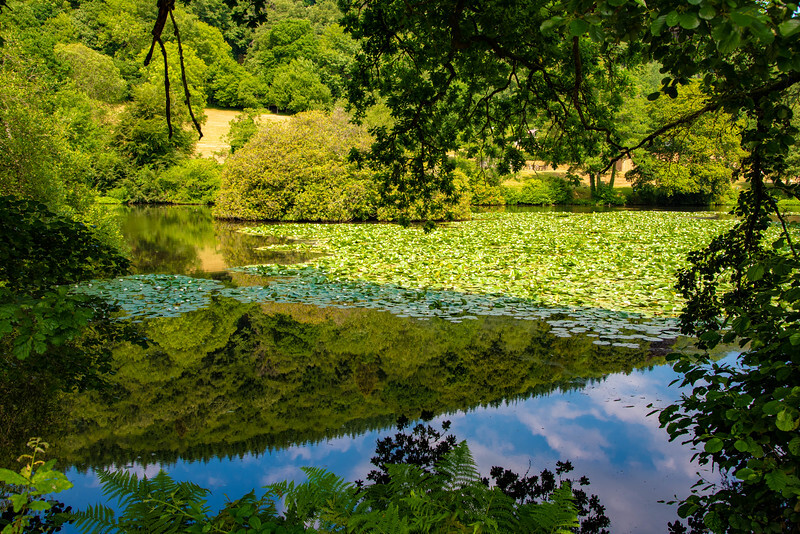 Although you will be told it will take around 60-90 minutes to complete the hike, I would argue that you could easily spend double this amount of time if you chose to, simply because of the spectacular scenery and desire to take in the amazing Devonshire landscapes. 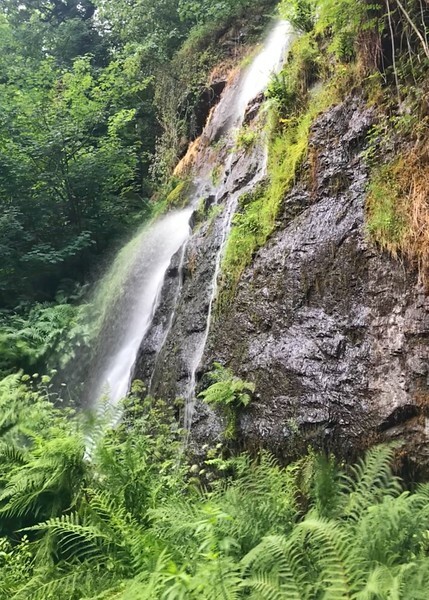 This is the first significant waterfall that we have visited in the UK and if this is anything to go by, we are in for a real treat when it comes to exploring some of the other iconic waterfalls across the country. Do you enjoy exploring waterfalls? 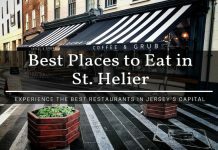 Which is your favorite and do you have any “hidden gems” that you would recommend we visit? Next articleArcadia Valley – Is the Top of Missouri Worth Exploring?